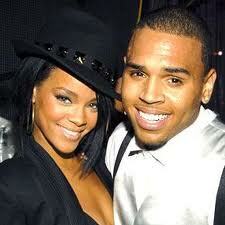 Chris Brown and Rihanna have been getting quite chummy lately. They have been tweeting each other, making music together, seen together. Which could set them up for a possible romantic reunion. But a lot of people oppose their reunion, especially considering that Chris Brown plead guilty to a felony assault. Has he really changed or is he the same ol’ Chris Brown that battered Rih anna three years ago? According to couples therapist Dr. Nancy Davidson “About 95 percent of men who abuse a woman are capable of change. Only about five percent of men cannot change, and are without a conscience.” The key to an abuser change is A) they have to want to change (because you can’t force anyone to change) and B) they have to make an effort to change through therapy and anger management classes. Even with therapy “this abusive behavior is deep within this person and in intimate moments, it can come out again,” says marriage and family therapist SaraKay Smullens. Given Chris’ latest outburst on February 9th, where he was accused of snatching a fan’s cell phone outside of a Miami club, I am going to suggest that Chris needs more time to rehabilitate himself and get over his anger issues. There is nothing wrong with two being friends until his anger issues are resolved. I just hope that Rihanna thinks with her mind instead of her heart this time. Remember: No one should accept spousal abuse. It doesn’t matter who you are, you deserved to be loved the right way. Love should never hurt.